The Boston City Council and the Massachusetts Department of Public Utilities last week each separately took action that opens the door toward more microgrids and energy storage in the state. The city council approved a proposal (Docket 0340) on Wednesday to send a home rule petition to the state legislature that would clear the way for the next step in building a microgrid at the Raymond L. Flynn marine park. 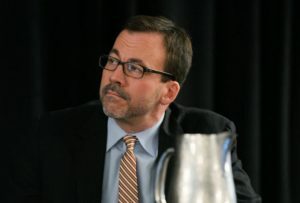 Brad Swing, director of energy policy and programs for Boston, had described the petition last month when he spoke at Microgrid 2017, a gathering of more than 450 microgrid stakeholders in Boston. Years in the making, the pilot microgrid ran into a stumbling block when the city discovered existing law limited its contracting ability at the site. The law allows the city to execute an energy savings performance contract (ESPC) only for publicly owned buildings — not for the marine park’s mix of publicly and privately owned buildings. If approved by state lawmakers, the home rule petition will pave the way for the city to pursue a ESPC with a business partner – via a request for qualifications — to build the microgrid at the 191-acre former navy yard. The petition was put forward by Boston Mayor Marty Walsh. The marine park project highlights a problem that occurs throughout the microgrid industry. Developers find themselves blocked by laws and regulations created before the technology was envisioned. Register now for Microgrid 2018. Microgrid 2017 was oversubscribed. Utility opposition also can delay microgrid projects. So Boston officials early on brought Eversource, the utility that serves Boston, into the conversation about the microgrid. Swing said that the utility and city have put together a draft memorandum of understanding governing their relationship. The city hopes its early efforts will offer lessons learned for others developing microgrids, as the Massachusetts Clean Energy Center (MassCEC) moves forward with a statewide solicitation that offers $75,000 grants for microgrid feasibility studies. Utility role in microgrids and energy storage? It’s still unclear exactly what role Massachusetts utilities will play in microgrid development. Because it is a restructured state, Massachusetts limits the amount of power generation that utilities can own. While microgrids contain generation, they do not always function as generation capacity, but sometimes play other roles, acting as non-wires alternatives or load and demand management mechanisms. 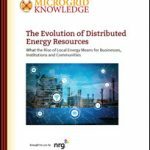 The multiple roles they play add to the murkiness in defining whether microgrids should be solely a product of the competitive market or can be a utility asset. Nelson said that understanding the community microgrid market is particularly daunting. Community microgrids often involve multiple buildings. Some are likely to be critical facilities, like hospitals, or government owned, like police stations. 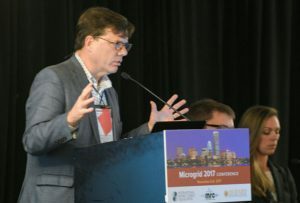 Galen Nelson, MassCEC senior director of innovation and industry support, participating in a panel discussion at Microgrid 2017. Boston’s Swing told the Microgrid 2017 audience that it might be time for state lawmakers to revisit aspects of the utility restructuring law, which is now nearly 20 years old. In particular, he said it might prove valuable to allow utilities to own combined heat and power plants. Such plants are found in many advanced microgrids. “We think all of these ingredients of ownership and operation and roles are up for grabs and up for redefinition,” Swing said. Massachusetts has already clarified one area — utility ownership of energy storage. The Energy Diversity Act, an energy bill passed last year, permits utility-owned energy storage as long as the project reduces greenhouse gases, lowers peak demand, improves reliability or avoids investment in new generation, transmission or distribution. The fruits of that law became apparent last week when the state DPU okayed an Eversource proposal to construct a $15 million, 5-MW energy storage facility on Martha’s Vineyard and a $40 million, 12-MW energy storage facility on Cape Cod. Martha’s Vineyard, an island off the coast of Cape Cod, is now served by four undersea distribution cables and five 2.5-MW emergency diesel generators. Eversource expects the storage to act as non-wires alternative that will displace some of the generators and defer or avoid upgrade to cable. State regulators see the energy storage project increasing distribution reliability and facilitating the development of distributed clean energy resources. As part of the rate case (D.P.U. 17-05), the DPU also approved $45 million for the utility to accelerate the development of electric vehicle (EV-ready) infrastructure in the state. While the DPU approved the energy storage and EV aspects of the plan, the state agency decided to forego a ruling on the utility’s larger grid modernization strategy. Instead, the regulatory agency plans to take up the proposal within a larger grid modernization docket now under way for all Massachusetts investor-owned utilities (D.P.U. 15-122). Track news about microgrids and energy storage on Twitter @MicrogridNews.